It takes me ages to do anything lately but I have been slowly playing around with a new planner. I think this one is going to be the one I will use, so I’ve just been plugging away at it steadily. As I made it, I’ll share it. Then I have the weekly planner pages, two to a sheet. Cut in half and hole-punch. There are four colourways, salmon, peach. blue and dusty purple. Just to keep it interesting. The blank area by Week Of? I thought it would be a nice place for a small photo, or a place to clip or staple something like a business card. Then there are the monthly sheets, across two pages. Some variation in colours. Again, cut in half and hole punch the outside edges then shift so the days are in order. I stressed so much over these, so if there is an error in them do let me know! Then, for those who need it, there are the Daily Diabetic sheets. Also in four colours, and two-a-page. 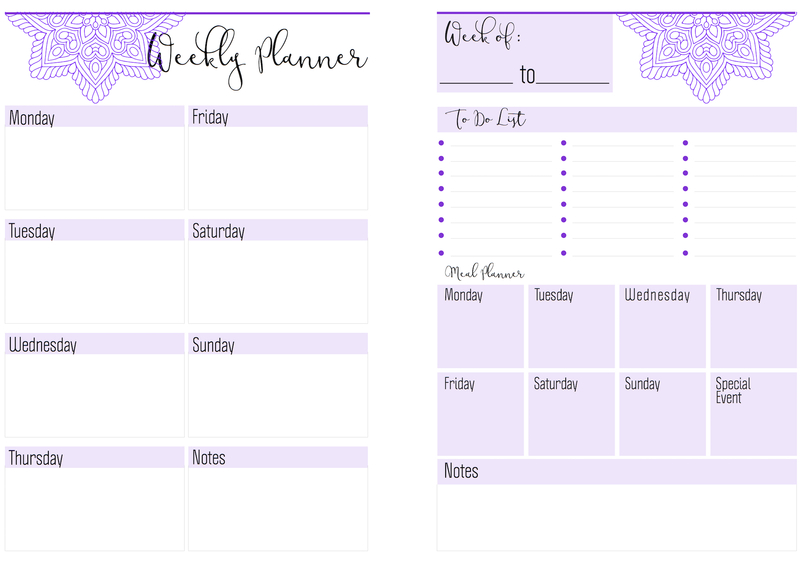 Next, the hourly planner page and the Notes page. These are as single pages so you can pick which pages you will print them on the back of. You can print them as A5/8×5 size OR as A4/US letter. Just select the size in your printer dialog box. Nearly done! A couple of pages of bits – print them on sticker paper if you like. These tabs are for the months, and there are some with useful words or phrases. Use them as tabs, or cut them in half and use as regular stickers. These arrows and flags can be used anyway you like! So there you go. Hope they are useful and do let me know what you think. 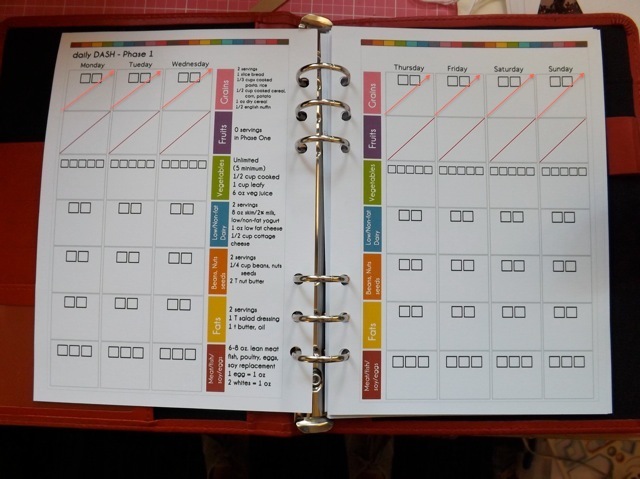 I did spend some time organizing my planner bits in a top menu, so any old ones are up there, in case you were looking…. OK, so I started these the other day, got super busy yesterday, but here they are. 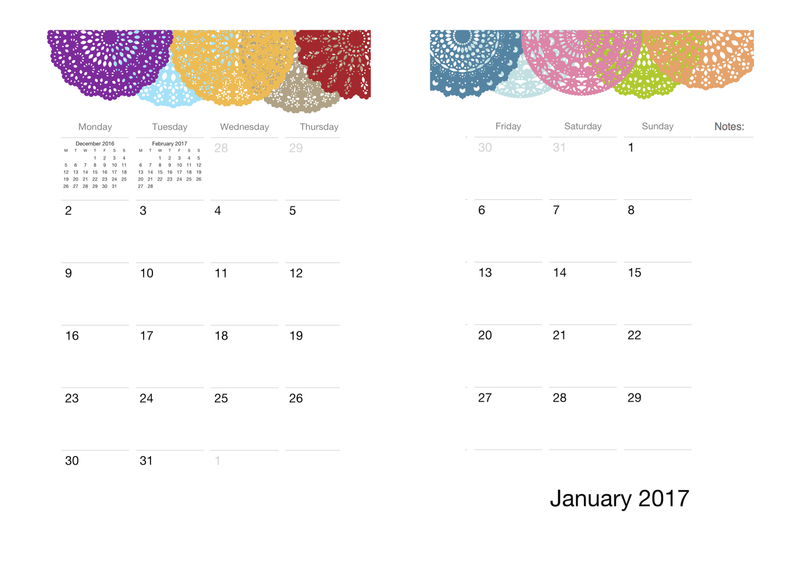 Both half-sheet Mandala birthday calendars, although I did them as a straight 2-a-page file. One comment suggested that the booklet style PDFs won’t work universally for every printer, so it is easier for me to just do them this way. and colourful ones to print and be done. I also had a go at making some banners. You can print them on full-sheet sticker paper and cut them out. Here is a close up. I noticed a little tweak I could make, to do with the alignment, but no time now. I might fix it later, when I do have time. 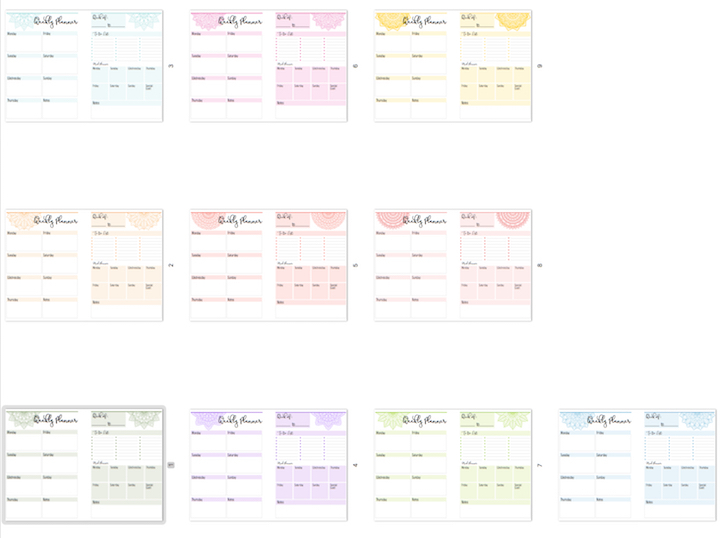 There are two sheets – one with plenty of Birthday/Anniversary/Milestones ones, and some blanks, then a whole 2nd sheet of blanks. There are also little triangular flags too. To be honest, I am not sure how useful they are for the BIRTHDAY calendar, but more for planners. 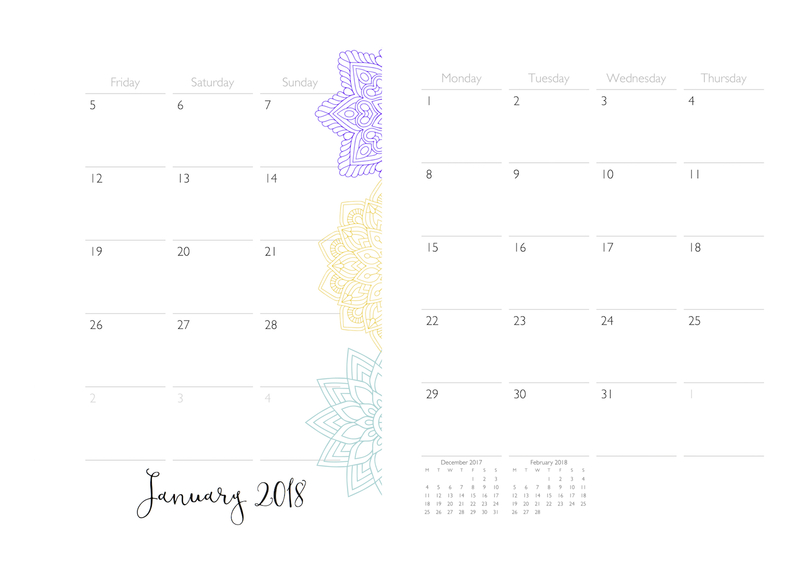 And that makes an interesting point that you might not have thought of – the half-sheet calendars can be hole-punched along the side and integrated into your A5/half US letter planner! So there you go. Have fun with them and LMK how YOU use them. Categories: birthday calendars, calendars, planners | Tags: calendars, planners | Permalink. 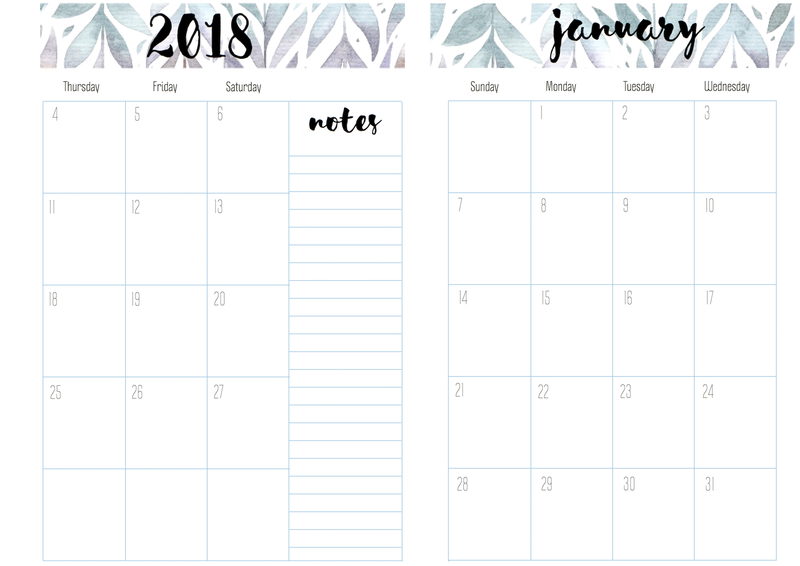 I am experimenting with a Year-at-a-glance planner sheet. It is a tricky one to get right for both US letter and A4 paper. Give it a go and see what you think – I haven’t done specific topper pages, but you can always just add a strip of patterned paper, or stamp onto the blank bit at the top. Just fold in half with the print edges lined up then slice up the middle. Depending on the paper you use the sheets will be slightly different sizes – A4 makes two at about 5.75 inches, and US letter is about 5.5 inches. 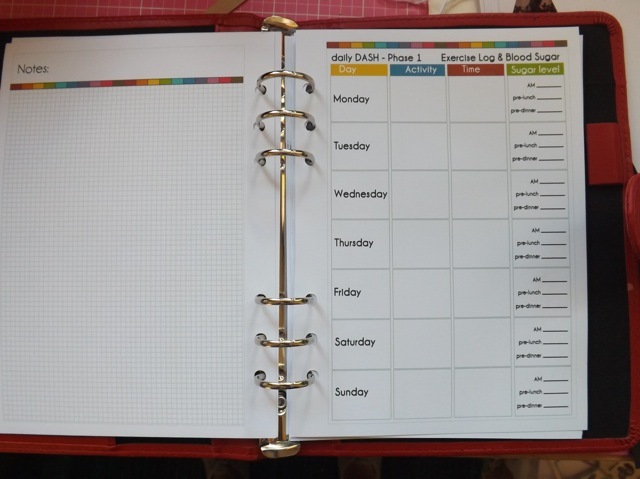 And you can also print it and punch holes along the top edge, to add to a 4-ring, 3-ring or 2-ring binder. Haven’t tested them all so not sure about the 2017 placement, but again, you can always stick paper over it and add the year with number stickers or stamps. 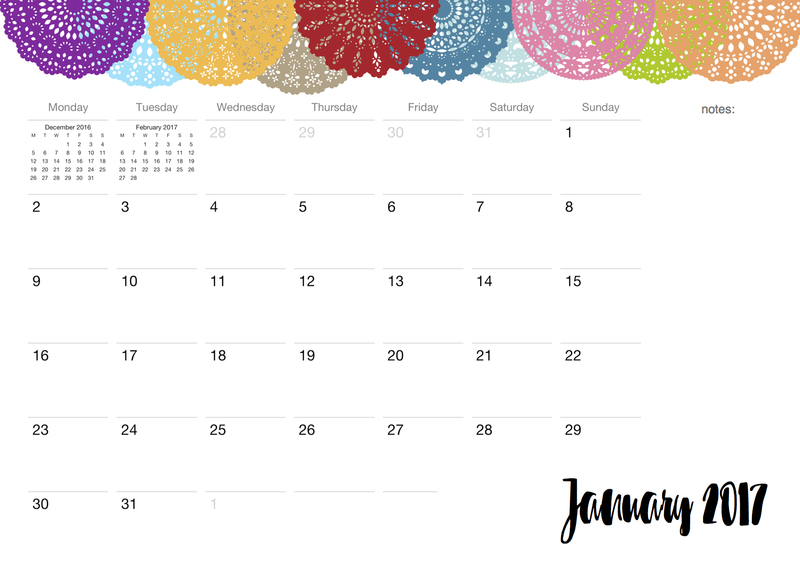 Categories: calendars, planners | Tags: calendars, planners, printables | Permalink. One of my followers, Moz, made one of my all-time favourite calendar projects. I’ve shown it many times but if you missed it you can see it here. She always does 18 month calendars so often asks for at least a part of the next year much sooner than I expect – you’d think I’d expect it by now LOL! I’ve done the DIY (Decorate it yourself) calendar for 2018. Another follower always needs her calendars resized, which is more work than it once was, due to some changes in the OS I use. BUT I know the size she needs. To accommodate people who need different sizes, I will now plan on spacing things out as above. You can cut outside the lines and get a bigger calendar block, up to about 4 x 5 1/2 inches, if you need it. So that is two special requests down! 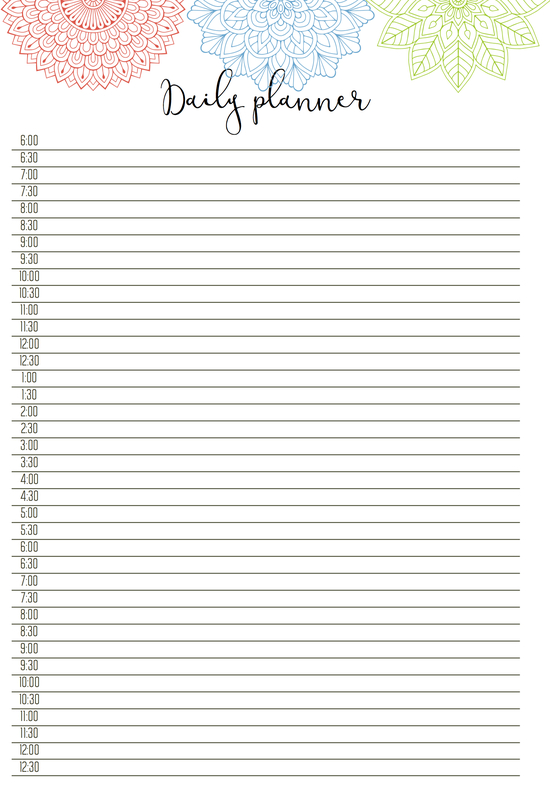 Lastly, I had a request for a planner Year at a Glance sheet. 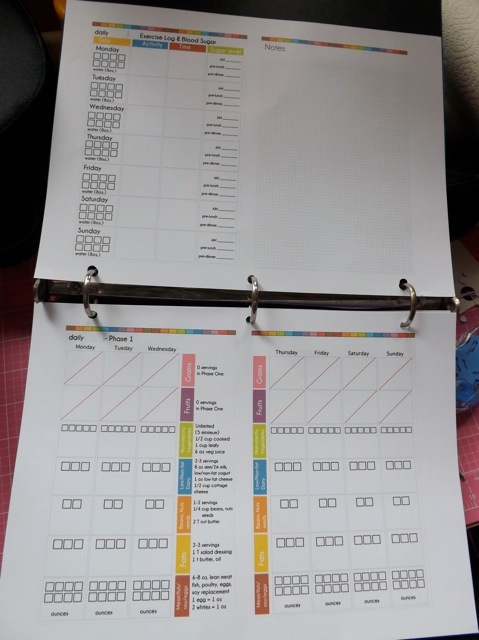 You may recall I made a series of planner pages that included a variety of toppers that you can print month at a glance sheets on. I’ve done two YAAG for 2017 that fit. 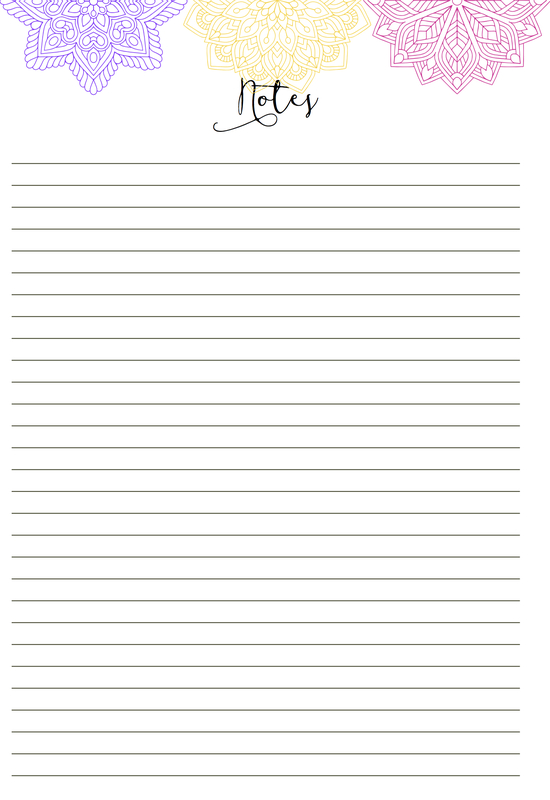 I know for sure they work perfectly on A4 paper and I believe they will work reasonably well for US letter paper. 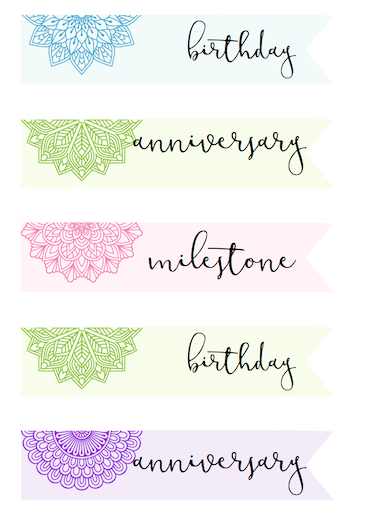 You can easily print them and decorate the top as you like, even just sticking a strip of scrapbook paper over it and adding the year back with stickers! So I think that takes care of any special request type things. Phew. 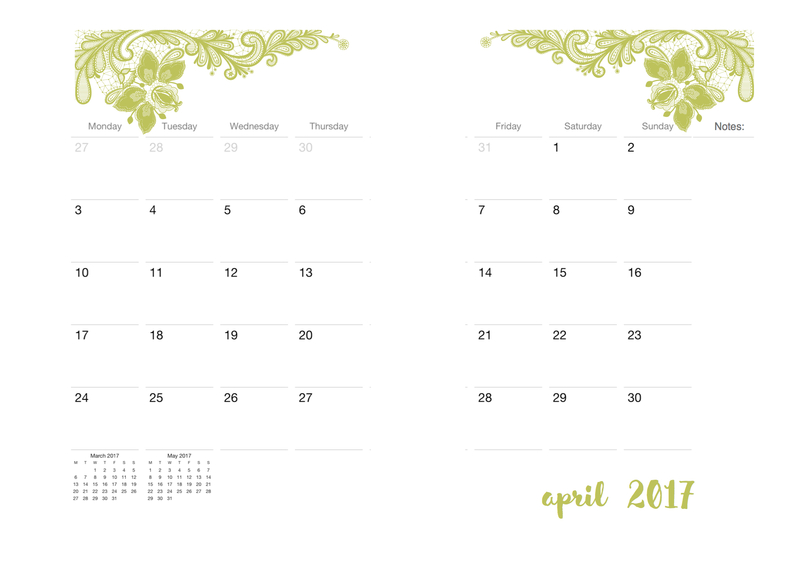 Categories: calendars, planners, printables | Tags: calendars, planners, printables | Permalink. 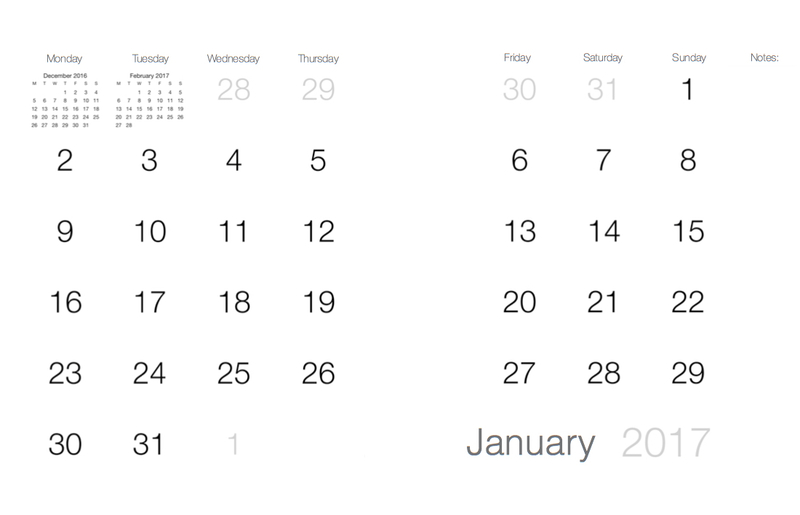 I was trying to figure out how to create one of the iPhoto calendar blocks in Spanish, without having to go in and edit all the words. 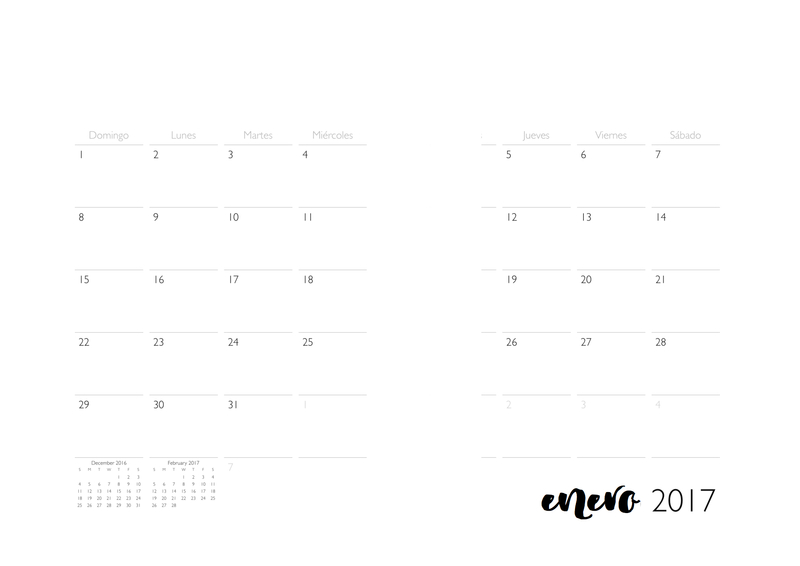 Simply by changing the language and region preferences I was able to generate a Spanish language calendar. Nice – had I thought to change the start date to Monday. DOH! I think selecting a region selects that sort of thing for you and you have to go in manually and alter it. 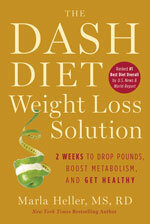 Here is the sample page – I did change the font for the month name, as I did with the other one. Is it worth continuing? It’s a bit of a plaver to change it but my preference is for planner to begin on a Monday. Is it yours, English or Spanish?? 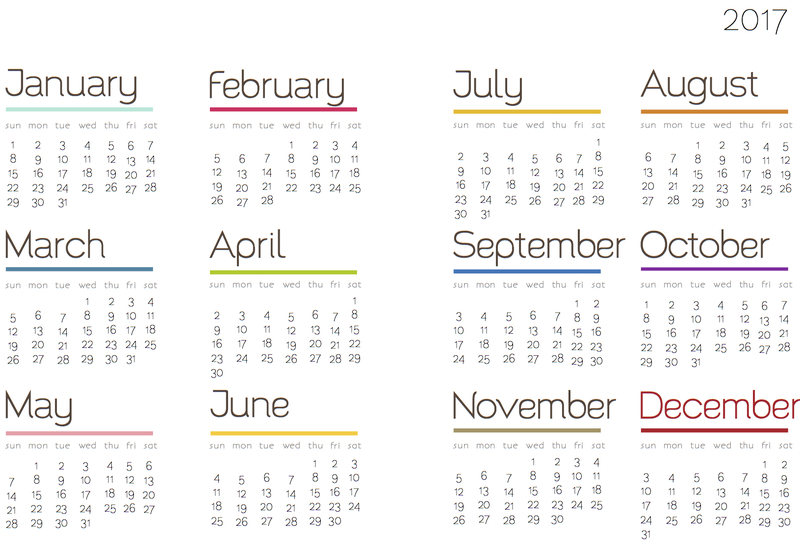 Categories: calendars, planners | Permalink. I love playing around with weird ideas that pop into my head. You know the planner pages I added recently? I had the idea to expand on them in what I hope will be an interesting way. BUT what I have added is just the lace strips on each page. 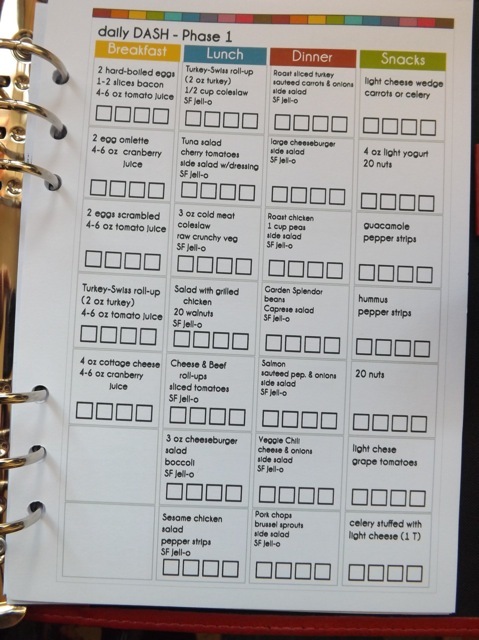 If you print that you will get 12 sheets, each with a lace strip at the top edge with NOTES: at the far right. The files has been created so the two “pages” print side-by-side on a single sheet, and no matter what size paper you select, the design will be scaled to fit and print in the middle of the sheet. That in itself could be useful, I suppose, if you wanted just a nice decorative sheet for your planner with lots of space to write. but that is not the order they appear. 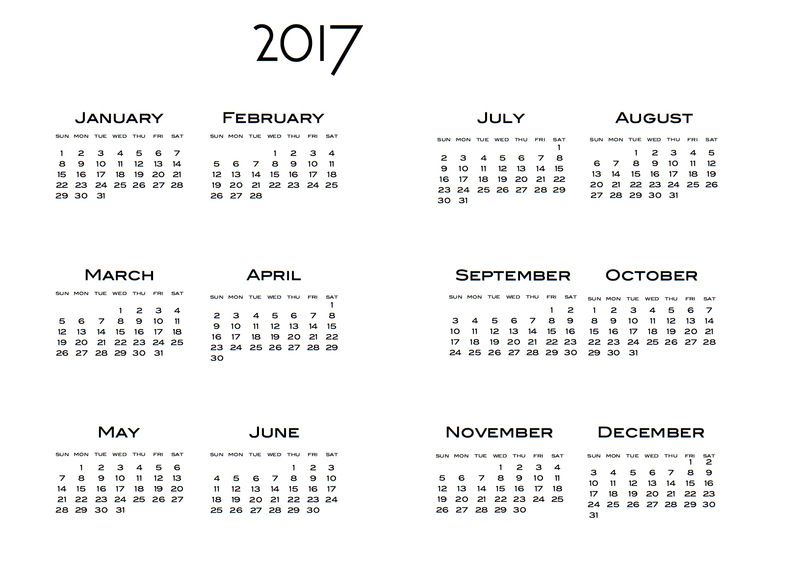 The second element is the calendar pages. I did three – well, two and a variation. Again, these are 12 sheets on month a page. Here is how it works. Figure out how the paper feeds thru your printer. This is critical. 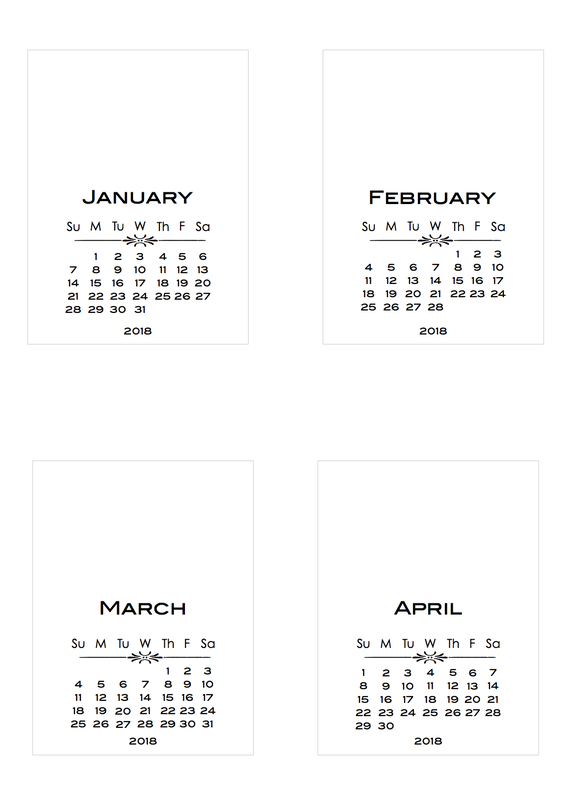 Print a single sheet, print all 12, of whatever calendar page you want. 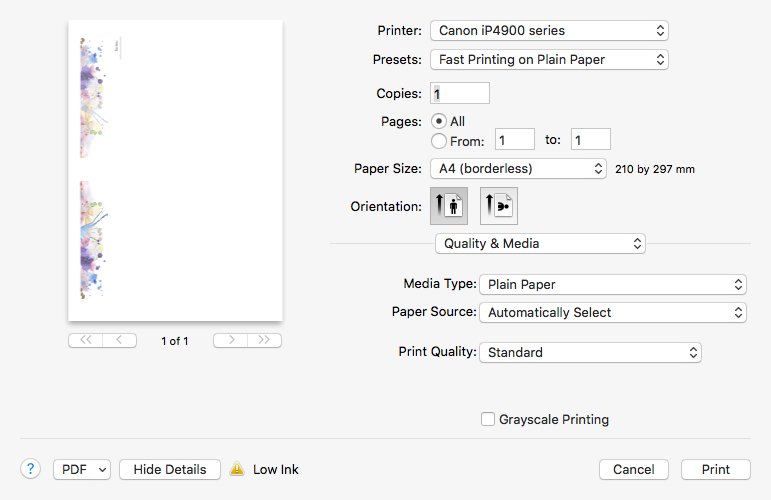 Them load a page, or the stack, back into your printer and print the decorative sheet of your choice over the top. 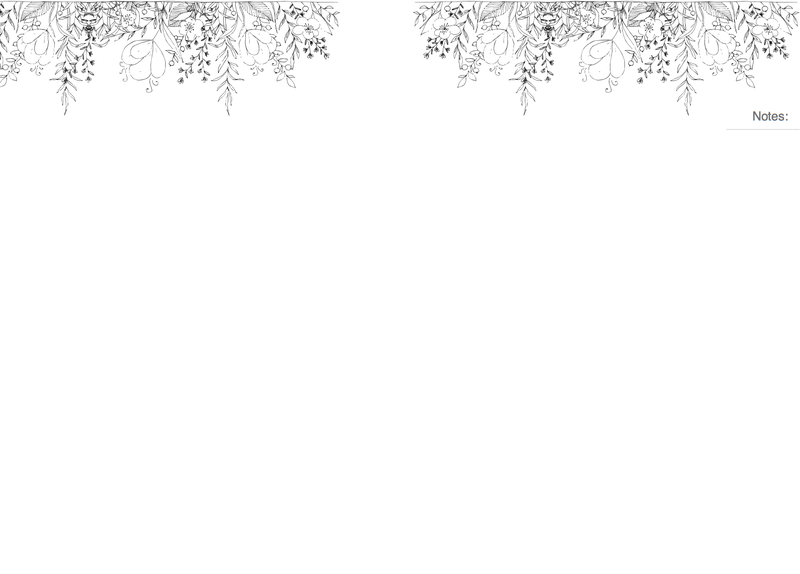 The decorative elements will be centred just like the calendars are. 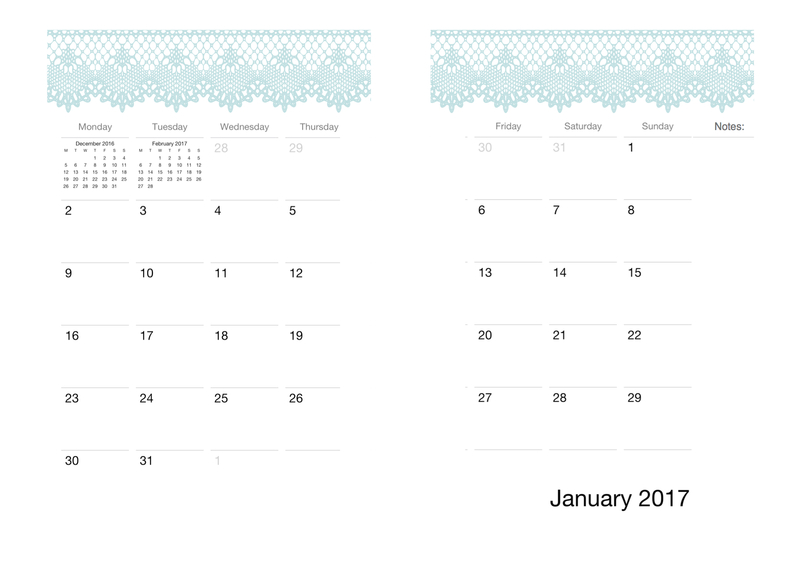 So you could print January with the lace strips using the fancy font calendar – see the selection to print the page selected in the sidebar? and the other option to print page 2 only? 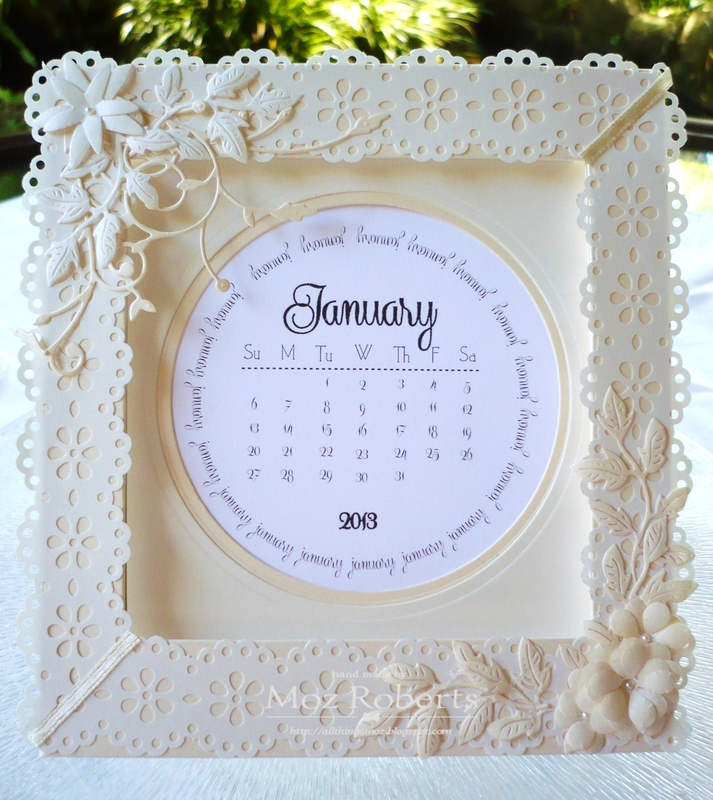 The point is, you can print any of the calendar pages onto any of the decorative element pages, as you prefer. 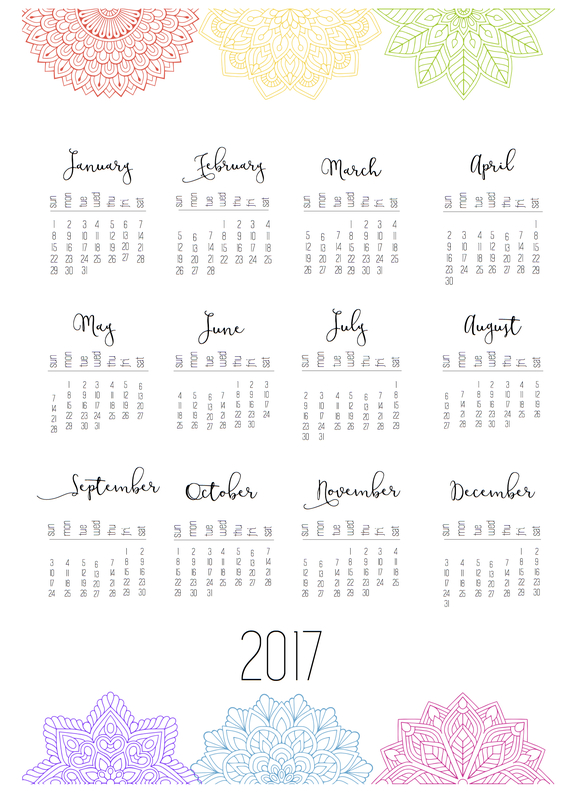 You could even just print the calendar pages and add your own decor – stamps, patterned paper, washi tape, even a photo strip. Now, I would LOVE to be able to perform all these actions to show you they do work, but my stupid printer is out of black ink. I have a full smaller black ink cart but the fat cart is empty and it won’t print without all the carts having at least some ink in them. I hate that. Anyway, give it a go and see what you think. For me, this is a great way to share LOADS of different options and allow people to customize planner pages by picking a combo they like. And it means with three calendar options, I can add tons of decor topppers quickly and effortlessly! Hope you have fun with this. 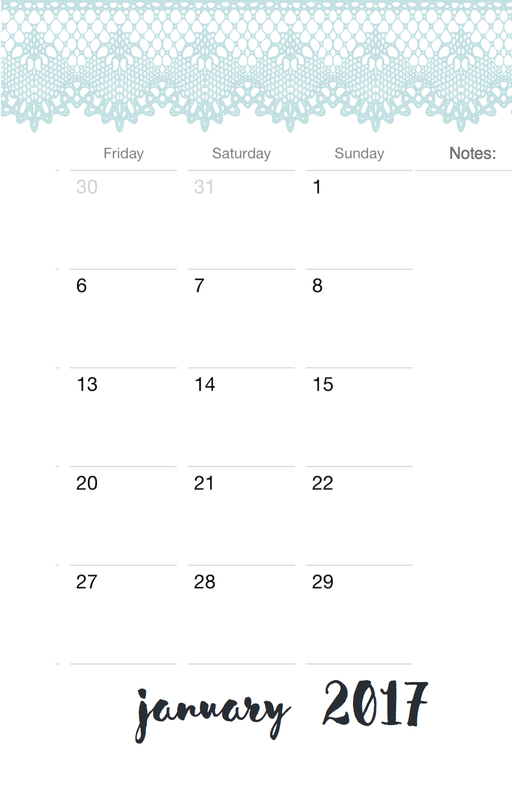 Categories: calendars, planners | Tags: calendars, planners | Permalink. I have been playing again, awaiting a few deliveries. I actually have a long list of things that need doing outside of the house but I can’t set off to do them till things ordered arrive. I do pay attention to requests if I can, especially if I think they will be useful to many people (although I am not opposed to doing something custom, depending on how much work it is LOL!) and so I’ve done two planner style calendars. First, a full sheet size. I am testing out a theory. 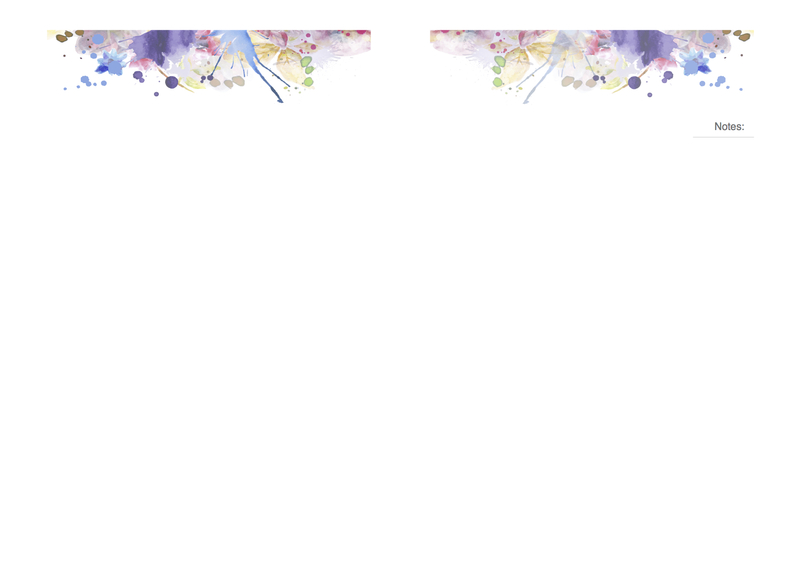 I’ve saved these cropped to the actual edge of the design. 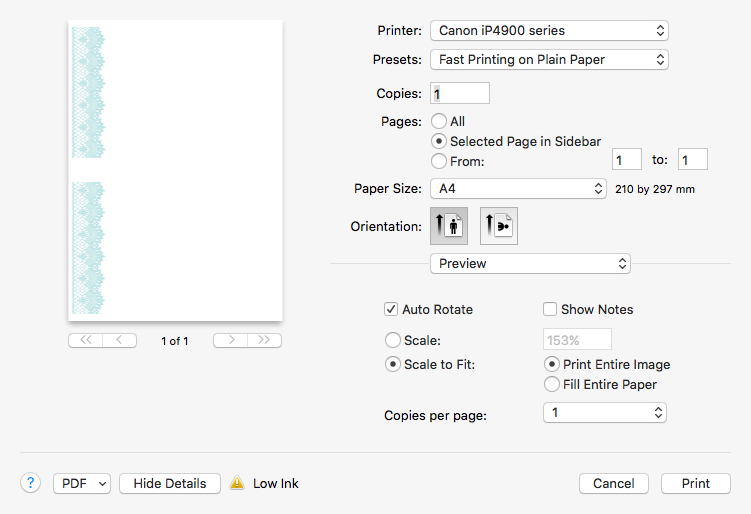 What it should mean is that your printer should print the pages to fit whatever paper size you have selected. That could be A4 or US letter, or even A5! It will automatically centre on the paper too. You can download that here – the first six months have the doilies as you see them here, the last six months have them flipped, just for a bit of variety. That one is designed for a Filofax style planner. It fits an A4/US letter size sheet, so I suppose if you don’t mind the break in the middle where the holes go for the smaller size planners you COULD print it and use it in notebook sized planner instead. You can download that one here. 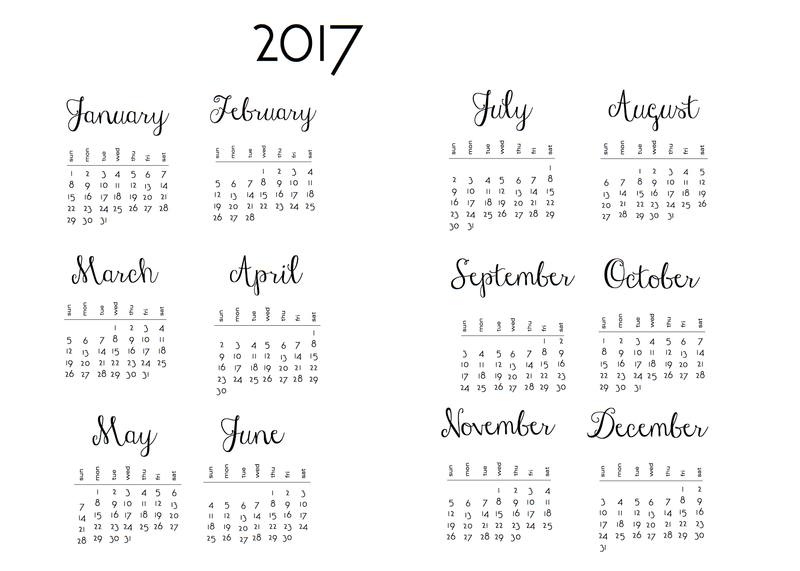 The lacy design and month word is a different colour for each month. Forgot to mention, these are in the Monday to Sunday format. Although I always use a Sunday to Monday CALENDAR, for some reason a Monday to Sunday PLANNER makes more sense to me so I tend to do them that way. I had an email request for one of my calendars, one month across two pages, for a planner. I didn’t have all the info I needed, so I made an assumption that it was for a 6×8 inch planner, for the purposes of testing out an immediate idea. 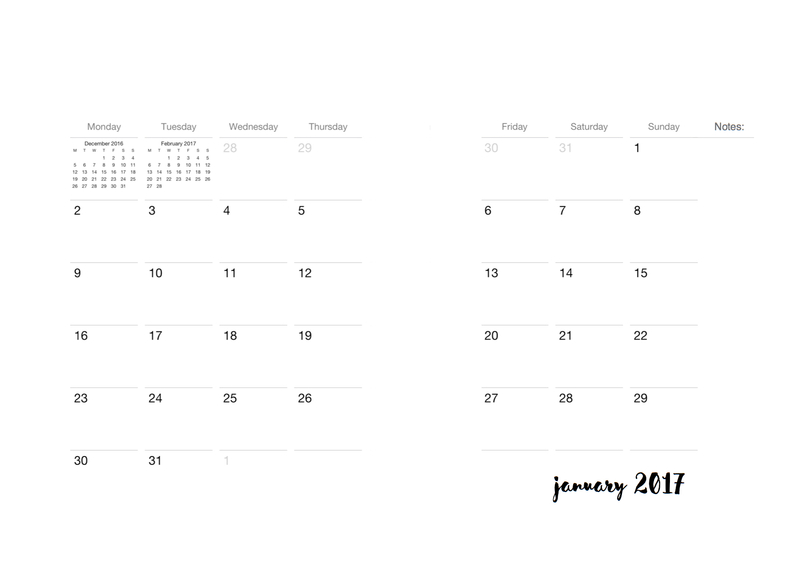 I was looking for a quick way to do it, and the iPhoto calendar method (where I “print” the blank calendar but save it as a PDF then edit it) seemed like a great idea. 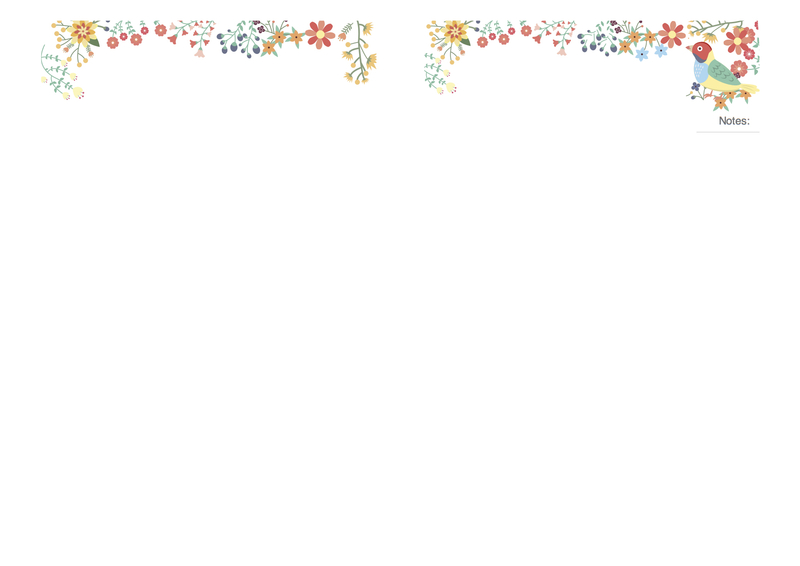 There is a bit of work involved to set up a sort of template, so the page prints with a split in the middle, and with whatever decorative elements I want at the top, so it takes time, but it isn’t difficult. 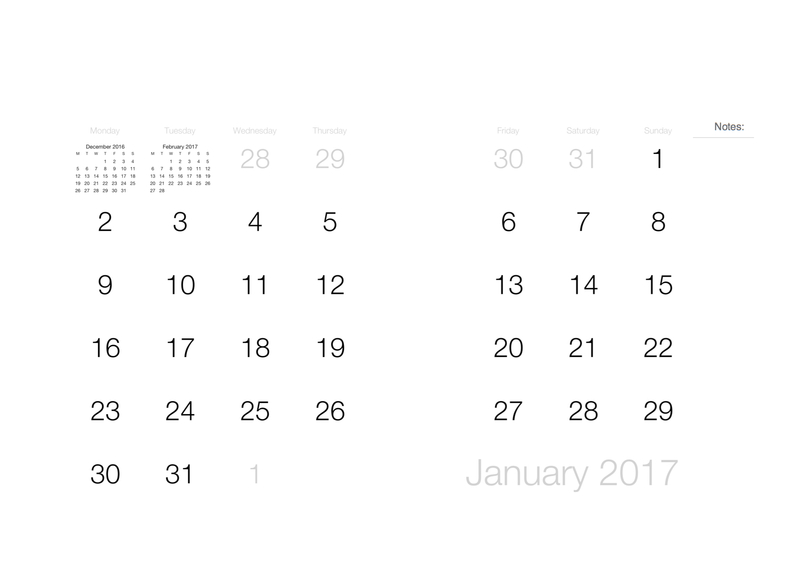 I like the fact there is the little previous and next month blocks, and the Modern Lines calendar has space to write appointments (well, a few of them per day but not a lot!) and I was able to add a NOTES section to the side. The holes would get punched in the middle, so the two pages lay side-by-side. To create a single page month would be MUCH faster. I wouldn’t go to all the effort of changing al the text, because I think the readability of a calendar is important, but the extra pop of a pretty font for the month word lifts it a bit. So I’m curious – is this appealing at all? Drop me a comment and LMK.